The Artful Critic: Relapse and Repeat: Carell and Chalamet bolster inherently redundant addiction story in "Beautiful Boy"
Relapse and Repeat: Carell and Chalamet bolster inherently redundant addiction story in "Beautiful Boy"
Cinematic depictions of addiction are a dime a dozen and can be a difficult high-wire act to pull off, considering such a disease is so internal and why one relapses several times before recovery is not based on cold logic. 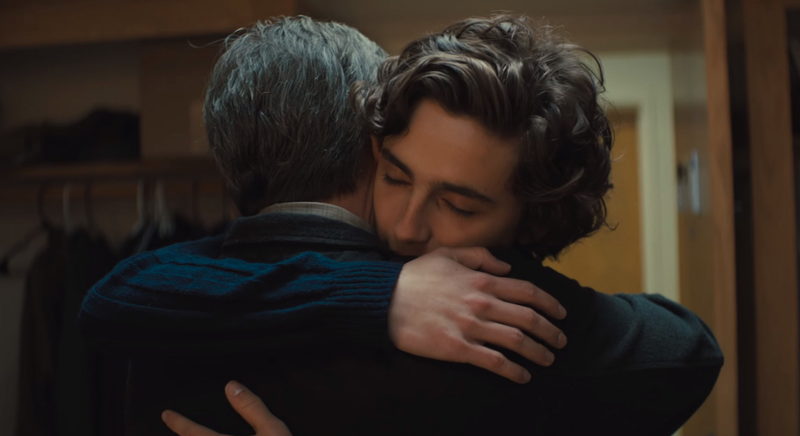 There are so many hugs in “Beautiful Boy” that one might expect it to be the pat, maudlin Lifetime Movie treatment of addiction, but thankfully, it is more unsparing and unsentimental than that. Based on memoirs “Beautiful Boy: A Father’s Journey Through His Son’s Addiction” and “Tweak: Growing Up on Methamphetamines,” respectively, written by David Sheff and son Nic Sheff, the film never sugarcoats either experience of addiction of either the parent or the addicted child. Tasked with the responsibility to tell a story about real people who exist, Belgian writer-director Felix Van Groeningen (2013’s “The Broken Circle Breakdown”) and co-writer Luke Davies (2016’s “Lion”) rely on the two impassioned performances by Steve Carell and Timothée Chalamet—great casting, by the way, as a father and son—and some fine writing to guide the film. Freelance journalist David Sheff (Steve Carell) has built a life in Marin County, California, with his second wife, artist Karen (Maura Tierney), and their two children. His 18-year-old son, Nic (Timothée Chalamet), from his first marriage with ex-wife Vicki (Amy Ryan), was once full of promise and bound for college, but he’s addicted to crystal meth, heroin, and opioids. Once David checks his son into rehab, Nic gets clean for 184 days. Nic assures David and Karen that he will extend his time in San Francisco in a halfway house, putting college on hold while he works. Unfortunately, not long after, David receives a call that Nic has disappeared and finds him in an alley. The cycle continues, as Nic sobers up and then finds himself tempted by prescription drugs, meets up with David, only to lie to his father that he’s not back to using and ask for money. David wants to help his son by researching addiction for himself, but as relapse is a part of recovery, Nic will have to make the change for himself. By nature, a film about addiction can be a long, redundant process full of fallibility, and that repetitiveness seems to be inherent and necessary to capture the hard truths. Similar in form to Groeningen’s “The Broken Circle Breakdown,” “Beautiful Boy” employs a sprawling, non-linear storytelling structure, weaving in time through memories of better times between David and Nic (played by Kue Lawrence, as 4 and 6-year-old Nic, and Jack Dylan Grazer, as 12-year-old Nic). The choice of framing the story out of order (and sometimes with flashbacks within flashbacks) and conveying both points of view is certainly ambitious, but it’s more often frustrating and distracting, at times distancing one’s emotional connection with this aching portrait of a family in crisis. This is where the authentic performances pick up the slack of the storytelling. Continuing to prove he is not just a flash-in-the-pan star but a magnetic, endlessly watchable and instinctive actor in tune with his craft, Timothée Chalamet (2017’s “Call Me By Your Name”) is strong again here, putting in vulnerable, raw-to-the-bone work as Nic Sheff, a smart, charming young man who had so much going for him but keeps digging himself deeper into a downward spiral just when he’s doing so well. He captures the twitchiness, the desperation, and the charisma to get what he wants as an addict. No longer surprising to find in dramatic roles, Steve Carell is vividly anguished and affecting as David, who loves his son so much that in an effort to understand Nic’s addiction even experiments once with cocaine and then eventually feels defeated, realizing that he can’t fix his son. “I love you more than everything,” David tells Nic at a young age, and thereon, “everything” becomes their shared word, even when David grows to no longer recognize the boy sitting across from him at their favorite diner. The film is beautifully acted without exception, even if the two mother figures in the film are standard and only get to be supportive. As Karen, Maura Tierney brings more depth to her part than what was probably written on the page, and she gets to be a bit more of an active participant when Nic and his newly addicted girlfriend (Kaitlyn Dever) break into David and Karen’s house. Amy Ryan, mostly relegated to phone calls, does everything she can to sell the heartbreak of Vicki, Nic’s absentee mother and David’s ex-wife who has her own life in Los Angeles, in the same way the character can only do so much to help Nic. Inevitably, a cyclical story about addiction can only really go one of two ways: the addict either gets clean by the end, or the addict does not. Wrenchingly tough to take, as it should be, but not unremittingly morose, “Beautiful Boy” has the integrity to not conclude with quick fixes or even much catharsis, just a tinge of hope, and even if the film doesn’t locate any fresh insights, it is deftly performed and heartbreaking nonetheless. Carell and Chalamet both have what it takes to deeply move the viewer, but the film should be more devastating than it is.